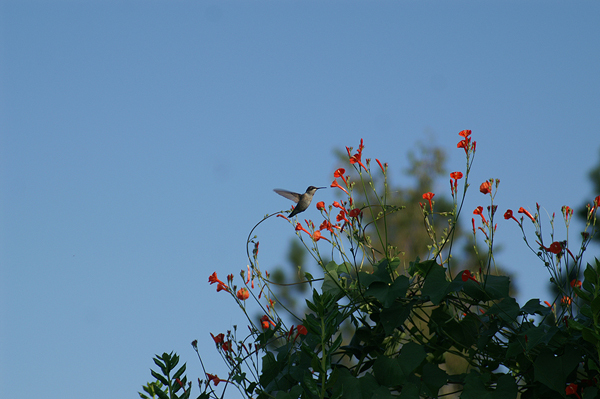 The vine morning glory provides a welcome food source for hummingbirds in the fall. This entry was posted on Thursday, April 12th, 2012 at 5:02 pm. It is filed under Animals / Wildlife, Environment, Nature, New Images and tagged with fall, feeding, flower, flying, hummingbird, morning glory, red, silhouette, vine. You can follow any responses to this entry through the RSS 2.0 feed.